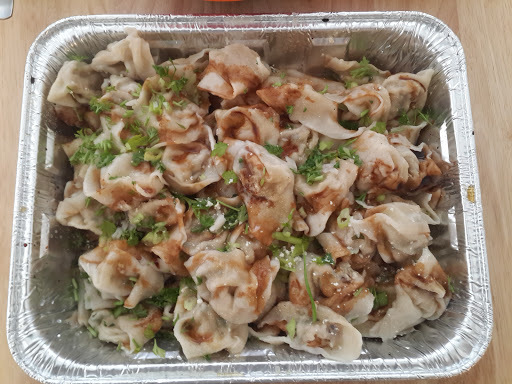 Have you never imaged of preparing wantons or dumplings with panner? Anyway "Chinese dumplings are probably one of the most convenient and versatile foods to keep around". Out from the freezer to your dining table in a second. 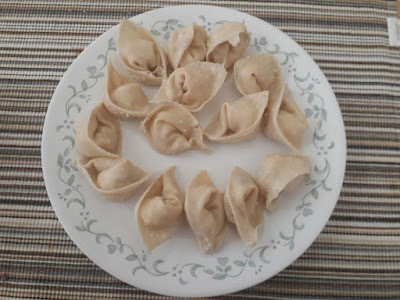 You can pan fry/boil /deep fry or steam for healthy version.A steaming bowl of won tons is always welcome in any season, and making them at home is a fairly easy process. Purchase a package of high-quality won ton skins, which are available everywhere, and then it’s just a matter of filling and folding them. Once they hit boiling water they cook for just 2 minutes. The filling — usually a simple mixture of well-seasoned minced meat — may be prepared hours ahead and chilled. This somewhat spicy chicken and shrimp filling is particularly delicious, with plenty of ginger and Chinese garlic chives or even your own creation with the Indian touch. Be amazed by the versatility of wanton wrappers. Keep a pack handy in your freezer and you’ll always be prepared to whip up bite size treats anytime and any where without any fuss!!! Guess what time really files and my little baby princess is growing fast. She has reached 10th this year.I cannot believe myself. Oh boy Im a mother 12 and 10 receptively . After returning back to Dallas after 6 years we have decided to celebrated my daughter's 10th birthday with friends once again. But this time I didn't prepare much at home due to my health. This time we many vegetarian friends and I really don wan to prepare any tropical South Indian appetizer. 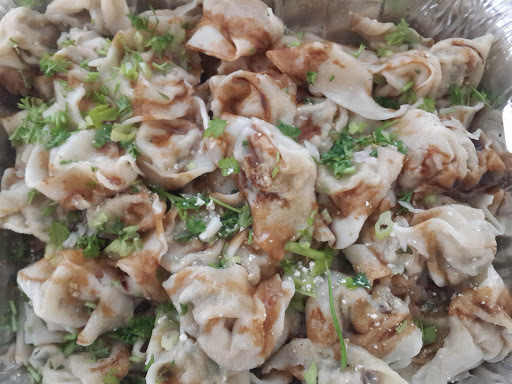 A twist with the combining of Chinese and Indian cuisine-" Panner With Spinach Wanton (Dumplings). Therefore there's no need to crack your heading not knowing what to prepare for any special occasions- there answer is just here "Dumpling". Most of us are addicted to paneer. Kids really love these freshly made cute white babies dressed in spicy sauce paired up with fresh made rotis. This fresh milk cheese is a true staple in Indian cooking, which is no surprise given how well it's mild flavor and chewy texture goes with spiced up curries. Paneer is made by curdling warmed milk with an acid like lemon juice or vinegar. The curds are then drained and pressed into a solid block. It's ready to be used as soon as it's made and won't keep for more than a few days-as it's curdled with an acid instead of rennet, paneer doesn't melt when heated. Very fresh paneer that hasn't been pressed for very long tends to be more crumbly and is best for using in sauces and wraps. Combine all the ingredients in a large bowl and mix well. Place a small amount of filling, about a 1/2 tsp, on each wanton wrap. Moisten the edges of the wrap with water and fold over to form a triangle, points should be slightly overlapping and press together. Then bring the two ends together, dab with a little of the filling mixture where they join and seal. Bring a wok halfway full with water to a boil, and then reduce the heat to a simmer. Cook the wantons in batches until they float to the surface, 3 to 4 minutes. Remove with a slotted spoon. Garnish with the chives and serve immediately with the chili dipping sauce. 2.You may add them to soup and cook them for about 5 minutes in the soup and serve. 3.You may steam them by placing them in a steamer do not layer them, and stem for about 10 minutes.